Fairhaven is a pleasant coastal New England town offering a special blend of arts and adventure, relaxation and recreation that is sure to please. With slightly more than 20,000 residents, the peaceful bedroom community of Fairhaven offers a comfortable lifestyle for people from all walks of life to enjoy. Located along the shores of Buzzard Bay, the town has access to world-renowned island destinations such as Martha's Vineyard and Nantucket via ferryboats and shuttle flights departing from near by New Bedford. 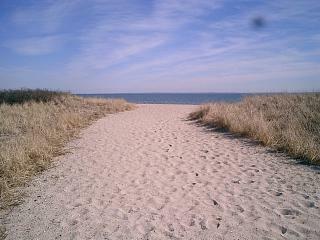 Within driving distance are Cape Cod to the east and Providence, Rhode Island to the west. Residents enjoy four beautiful and distinct seasons. If quiet living in a resort-like coastal community sounds appealing, then look no further than Fairhaven, Real Estate in Fairhaven is affordable, with everything from grand homes on large lots to cozy condominiums and townhouses.